Lycamobile Switzerland “PAKET” (‘the offer’) allowances are for calls and texts from Switzerland to the standard Switzerland landline and to other mobile numbers, to a selected standard European landlines and mobiles (unless it’s specified as mobile), and for mobile internet usage in Switzerland. Other usage will be charged at standard rates. Allowances are valid for 30 days from the date of purchase. Calls are rounded up to the nearest minute for the purpose of calculating remaining allowances. A customer may have only one offer on their account and may not buy another during the 30 day validity period. Any remaining allowance after 30 days will not be carried over into the next 30 day period should the customer renew their bundle. Lycamobile reserves the right to replace or amend the offer or these Terms & Conditions or to withdraw the offer at any time on reasonable notice. The offer is for non-commercial, private, personal use only – Lycamobile reserves the right to withdraw or suspend the offer or to disconnect you if we suspect that offer is being used for commercial purposes, for conferencing, or if it is not being used in a handset (in a SIM box for example), or if it is being used for tethering. In bundle data usage is rounded up and charged in 100KB increments. Once the data allowance of a bundle has been fully used, additional data usage will be charged at standard rate. Promotional prices valid from 18.02.16. To activate the offer use the Promo code Promo39 to purchase the package and activate the autorenewal. Customers who is on the PROMO PLAN can use the Promo code to purchase the package. Price promotion valid for 12 months for those who renew the package via autorenewal. If the offer has expired or the autorenewal fails due to an insufficient balance, the customer will lose the promotion. This offer is valid for customers who purchased the package for the first time within the period of this offer. Activate Promo Plan texting SAVE to 2525. Lycamobile Switzerland “HELLO WORLD” (‘the offer’) allowances are for calls and SMS from Switzerland to the standard Switzerland landline and to other mobile numbers, 1000 minutes to a selected standard International landlines and mobiles (unless it’s specified as mobile) and for mobile internet usage in Switzerland. Other usage will be charged at standard rates. Bundle valid for 30 days from the day of purchase. A customer may have only one offer on their account and may not buy another during the validity period. Any remaining allowance after the validity period will not be carried over into the next period should the customer repurchase their offer. Lycamobile reserves the right to replace or amend the offer or these Terms & Conditions or to withdraw the offer at any time on reasonable notice. Note that promotional credit (credit which Lycamobile has given to customers for free) cannot be used towards purchasing a bundle. The offer is for non-commercial, private, personal use only – Lycamobile reserves the right to withdraw or suspend the offer or to disconnect service if we suspect that the offer is being used for commercial purposes, for conferencing or is being used in a SIM box or similar use. Promotional period: the offer is valid from 17/11/2017. Global Plus:*Eligible Countries Australia, Austria, Bangladesh, Belgium, Brazil (landlines only), Bulgaria, Canada, Chile, China, Colombia, Croatia, Cyprus, Czech Republic, Denmark, Dominican Republic (Landlines only), Estonia, Finland, France, Germany, Greece, Guadeloupe, Hong Kong, Hungary, India, Indonesia, Ireland, Italy, Japan, Latvia, Lithuania, Luxembourg, Malaysia, Malta, Mexico, Netherlands, New Zealand, Norway, Paraguay, Peru (Landlines only), Poland, Portugal, Puerto Rico, Reunion Islands, Romania, Singapore, Slovakia, Slovenia, South Africa (Landlines only), Spain, Sweden, Thailand, United Kingdom, United States, Vatican City and Venezuela. *Bulgaria (Landlines only) Eligible EU Countries Austria, Belgium, Bulgaria, Croatia, Cyprus, Czech Republic, Denmark, Estonia, Finland, France, Germany, Greece, Hungary, Ireland, Italy, Latvia, Lithuania, Luxembourg, Malta, Netherlands, Norway, Poland, Portugal, Romania, Slovakia, Slovenia, Spain, Sweden, United Kingdom. 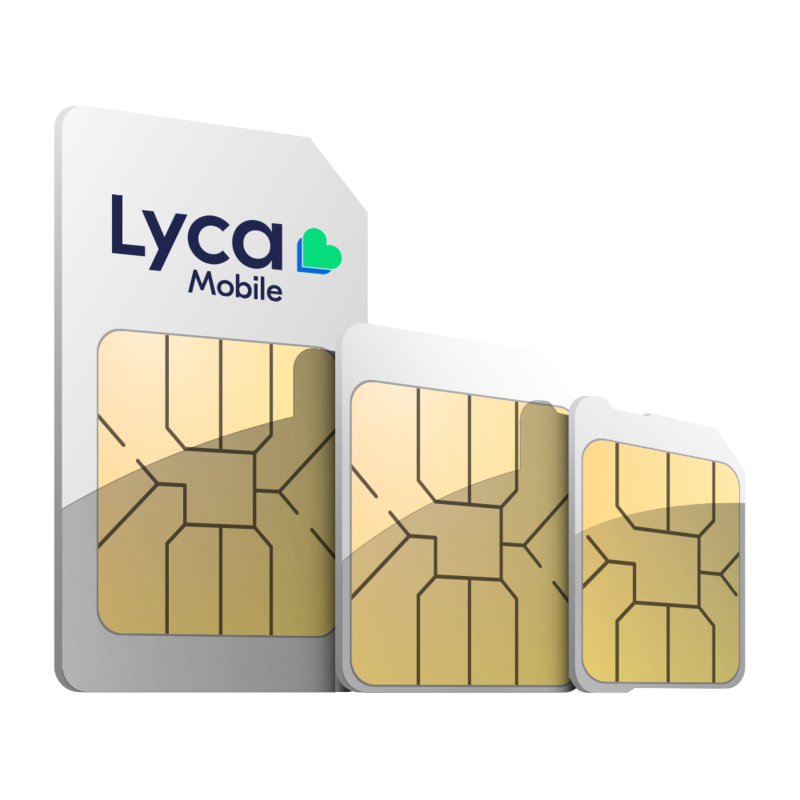 How to buy: If you are currently not a Lycamobile customer pick up a new SIM and be sure to top-up with enough credit Using your Lycamobile SIM, dial *139*Bundle code# (e.g. *139*1004# for EU99) or text the Keyword (e.g. EU99) to 3535 If you don’t have enough credit to buy the bundle you will be prompted to top-up and try again You will receive a confirmation message shortly after buying your bundle stating that it has been applied to your account. You should wait for this message before starting to use your bundle allowance. Auto-renewal: Your bundle is subject to Auto-renewal and if you opt-in will automatically renew once it expires. We will remind you before it is due to be renewed, giving you the option to cancel. The renewal charges will be deducted from your main balance or through your payment card, depending on the initial activation method. To cancel Auto-renewal, dial *190# and follow the instructions. Available to Lycamobile’s EU Plan/Data plan customers only. Lycamobile Data bolt-Ons will expire when your current EU Plan/Data plan expires. The customer may purchase the bundles from their existing account balance. Promotional call credit cannot be used to buy bolt-Ons. You can add up to four bolt-Ons to your existing plan (Plan with data only) with in the expiry. Any unused data will expire on the expiry date of main plan. In bundle data usage is rounded up and charged in 100KB increments. Once the data allowance of a bundle has been fully used, additional data usage will be charged at standard rate. Lycamobile reserves the right to replace or amend the offer or these Terms & Conditions or to withdraw the offer at any time on reasonable notice. The offer is for non-commercial, private, personal use only. The offer is valid from 20/11/2015. Lycamobile value packs allows customers to access to mobile internet on mobiles, allowance valid for 30 days including the date of activation. The Data Value Pack is purchased via a one-off payment, taken from the customers’ top-up balance. Any other usage will be charged at a standard rate of 10 Rp/MB. 4G availability is subject to handset model and location. In bundle data usage is rounded up and charged in 100KB increments. Once the data allowance of a bundle has been fully used, additional data usage will be charged at standard rate. Promotional prices valid from 18.02.2016. Customer can use the allowances National and below mention countries. Once allowance finish, it will be charged standard roaming rates. Minutes include incoming and outgoing calls and Lycamobile to Lycamobile Switzerland calls. Senegal Tigo: Lycamobile Senegal Tigo (‘the offer’) inclusive allowances are for calls from Switzerland to standard Senegal Tigo mobile numbers. Other usage will be charged at standard rates. The offer is valid for 30 days from the date of purchase. A customer may have only one plan on their account and may not buy another from the same bundle during the 30 day validity period. Bundle is subject to auto renew after 30 days. Lycamobile reserves the right to replace or amend the offer or these Terms & Conditions or to withdraw the offer at any time on reasonable notice. Note that promotional credit (credit which Lycamobile has given to customers for free) cannot be used towards purchasing a bundle. The offer is for non-commercial, private, personal use only – Lycamobile reserves the right to withdraw or suspend the offer or to disconnect you if we suspect that offer is being used for commercial purposes, for conferencing, or if it is not being used in a handset (in a SIM box for example), or if it is being used for tethering. The Senegal Tigo valid from 23/04/2018. Turkey Plan: The inclusive allowances are for the calls to standard EU, Turkey landline and Mobile & Switzerland standard landline & mobile as well. Data allowance could only be used within Switzerland. All bundles are valid for 30 days including the day of purchase. Bundles are subject to auto renew up on expiry. A customer may have only one offer on their account and may not be able to buy another during the specified bundle validity period. Note: In bundle data usage is rounded up and charged in 1KB increments. Once the data allowance of a bundle has been fully used, additional data usage will be charged at standard rate. Lycamobile reserves the right to replace or amend the offer or these Terms & Conditions or to withdraw the offer at any time on reasonable notice. Note that promotional credit (credit which Lycamobile has given to customers for free) cannot be used towards purchasing a bundle. 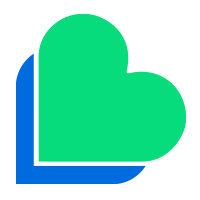 The offer is for non-commercial, private, personal use only – Lycamobile reserves the right to withdraw or suspend the offer or to disconnect you if we suspect that offer is being used for commercial purposes, for conferencing, or if it is not being used in a handset (in a SIM box for example). These Terms & Conditions are valid as of 21st April 2015. Delivery & Postage New SIM purchased may take up to 5 working days to deliver. We will send your SIM card via post, free of postage charge.  Delivery address must be the same as the Billing address – i.e. the address your credit/debit card is registered to. Note: In bundle data usage is rounded up and charged in 100KB increments. Once the data allowance of a bundle has been fully used, additional data usage will be charged at standard rate. Roaming If you are travelling to any of the country, you will be charged at a Standard International Roaming rate. Upfront cost There is no upfront fees apply for the SIM only deals. You will only be charged for the tariff you have chosen at the beginning of each billing cycle. Top up or Payment You may need to top up or make a payment using a debit/credit card in order to make calls, text & data usage out of your plan inclusive allowance, Premium & non- geographic number calls, calls & text message to international numbers or Standard International Roaming. Lycamobile Airtime Advance If you reach the limit of your prepaid allowance, (eg: international calls and calls to premium numbers) you may Top Up as usual and/ or use your Lycamobile Airtime Advance credit up to the amount allocated for your particular bundle (the amount of the Lycamobile Airtime Advance is subject to change) on condition that you pay for that Lycamobile Airtime Advanced at the beginning of the next billing cycle. If you’ve reached the limit of your Lycamobile Airtime Advance and have therefore used up all of your monthly allowance and Lycamobile Airtime Advance, then you can still enjoy further services by Top Up. Even if you do not Top Up, you’ll still be able to enjoy receiving calls and texts.  Pricing If a Lycamobile Airtime Advance is taken, it is provided on condition that it is paid for fully at the beginning of the next billing cycle. Payment Your tariff plan charge will be deducted at the beginning of each billing cycle. Recurring monthly bill Payment will be taken from the debit/credit card used to make the first payment. Payments for the other usage can be made using Debit/Credit card. The name and the address of the card holder should be same as the registered account holder Les paiements pour l’utilisation d’autres peuvent être faites en utilisant de débit / carte de crédit. Le nom et l’adresse du titulaire de la carte doit être le même que le titulaire du compte enregistré. If you change your name, address telephone number or payment details or there are any other changes to your bank account which may affect your payment of the charges you must let us know. In the event that payment cannot be taken on the due date, further attempts will be made from the same payment details, until it is taken. Bills The price shown requires you to use e-billing. For monthly price with paper bill add CHF 5.00. Refunds We will not provide any refund for any plans purchased UNLESS no service has been used. If you change your mind within 14 days of purchase of a plan & allowance not used, you may request a refund OR could change it to a different plan by calling our customer service. Cancellation If you decide not to continue with your chosen plan, you need to give us a notice by calling our customer service before expiry of that plan. You will still be required to pay for one more month before the plan is cancelled.